Environmental activists always seem to have a new target for their outrage. But their latest boogeyman could upset a group even more outspoken and committed to their cause than the eco-activists…Boston Red Sox fans. That’s right, the eco-extremists’ latest public enemy number one could instill the wrath of Red Sox Nation. One liberal writer, Miles Howard, recently penned an op-ed explaining the activist position. 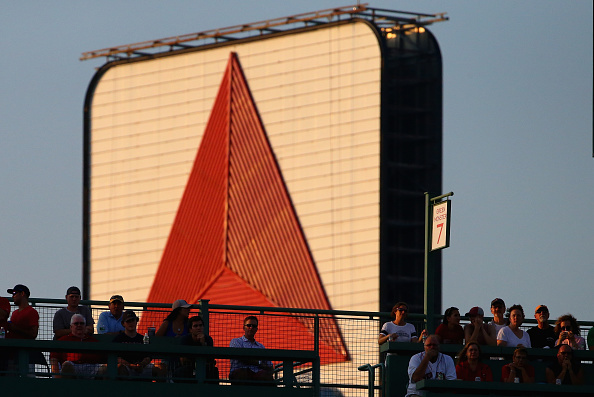 He argues the iconic Citgo sign in Boston, towering over the Green Monster in left field, is a “blemish” on the city because it represents the “greed and destruction” of the energy industry. Howard knows that changing the sign “will sting in the short term” and that the “pushback against replacing the Citgo sign would be intense,” but he’s willing to incur the wrath of fans regardless. “Nothing is sacred,” Howard explains, even a famous Boston landmark. The absurdity of Howard’s claim is obvious. Environmentalists are so opposed to the energy industry that powers modern life that they want to airbrush the past and destroy landmarks, no matter the cost. If the Red Sox really went forward with this change, does anyone believe they’d also only host day games to conserve energy from the stadium lights? Or turn off the electronic cash registers that rake in concession sales? If anything, Citgo could be criticized for its socialist Venezuelan ownership. Asdrubal Chavez, cousin of Hugo Chavez, is president of Citgo, which is now a subsidiary of Venezuela’s state oil company. Maybe the eco-extremists should take a step back before they declare war on a billboard and upset a city of Red Sox fans. Picking fights with cultural landmarks doesn’t actually help the environment and only demonstrates just how out of touch the environmental left has become.